For individual visitors, please see What’s On for available public guided tours. We also have a range of Early Bird Tours, where you can enjoy the peacefulness of Walpole’s villa before it opens to the public and find out more about its history, architecture and restoration. Find out more on What’s On. 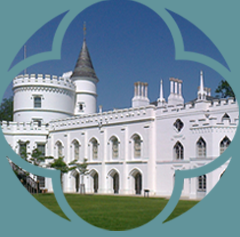 This tour provides a broad overview of the history, art and architecture of Strawberry Hill House. Our expert guides will give an in-depth introduction to the house and provide comprehensive answers to any questions visitors may have. Available Monday to Friday. 10am-3pm. £15.00 pp. Maximum group size 35 persons. 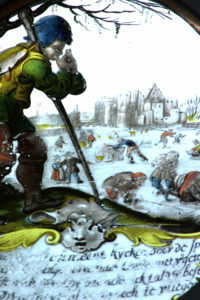 Strawberry Hill’s beautiful collection of painted glass is sometimes overlooked but this is one of its highlights and requires closer examination. 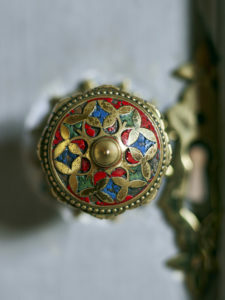 Horace Walpole assembled a large collection of more than 450 pieces of painted glass to adorn his summer villa at Strawberry Hill which inspired a craze among his contemporaries for the setting of ancient glass as a fashionable addition to a home. 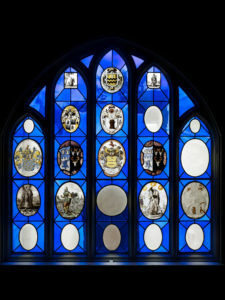 Strawberry Hill’s painted glass tour explores how the glass was curated, collected and reproduced, as well as themes within the glass and their context at Strawberry Hill. Available Monday-Friday between January and November, 10am-3pm. 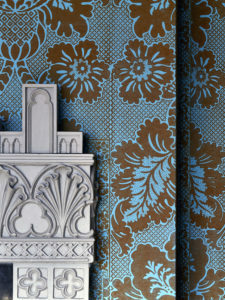 Strawberry Hill House’s eccentric interiors are the perfect inspiration for any photographer. 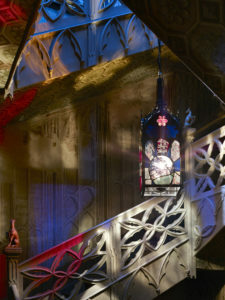 Gain exclusive access to the house and experience the theatrical colour palate, beautiful architectural features and stunning stained glass through the camera lens. £10 pp on its own or £7.50 when booked with another tour. 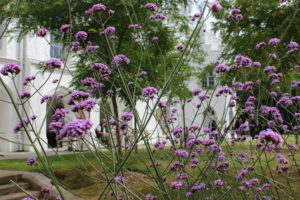 Learn about the garden’s restoration and history. Explore its significance as one of the first naturalistic landscape gardens in England and its position in the Thames Arcadian landscape. £13.50 pp. Free to carers. 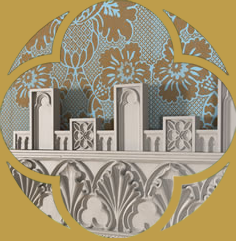 Our expert guides strive to make Strawberry Hill House accessible to all. We can facilitate visits from visually impaired groups with in-depth descriptions of architectural features and bespoke information on specific areas of interest. Available Monday to Friday. £20pp. 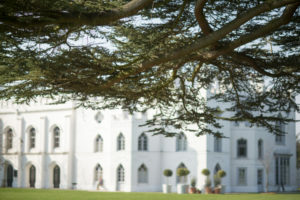 This is an exclusive out of hours tour, kicked off with a glass of fizz where you can explore Strawberry Hill House at a magical time of day. 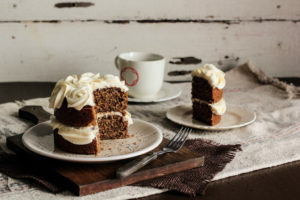 Prior booking is required if you are looking to eat at the house with a group, as seating is limited and the café is typically open only during general opening hours. Please mention catering requirements with our tour coordinator when booking your tour by phone or email. To read our catering options please find our Garden Cafe menu.